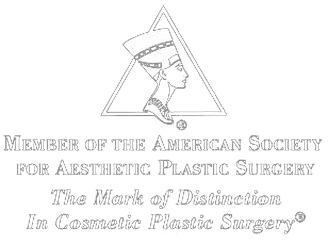 At the office of Julene B. Samuels, MD, we are proud to offer aesthetic skin treatments with the new Sciton® laser. Developed by the world's leading aesthetic laser engineers to treat many common skin care problems. Dr. Samuels and her specially trained nurses combine their skills to provide treatments for wrinkle and pore-size reduction, skin smoothing and tightening, laser hair reduction, and treatment of veins, redness and rosacea with this state-of-the-art laser system. The Sciton Profile® Contour® system uniquely combines several laser systems into one, allowing Dr. Samuels and her staff to precisely vary the depth and effect of your laser treatment for the best results specific to each patient's need. If you desire smoother, healthier, more vibrant skin and are looking for more than microdermabrasion (5 microns) or light chemical peels but have little time for a prolonged healing process, then the Micro Laser Peel was designed for you. For the reduction of deeper wrinkles and deeper skin smoothing with real lightening, The Sciton® Contour system's combination of two lasers sets a new standard for laser resurfacing, allowing Dr. Samuels to precisely vary the depth and effect of your laser treatment. Your peel will be tailored to match your skin condition and desired result, all within your allowable recovery period. The Sciton® Clear Scan laser is available for treatment of veins and redness. This is a new laser using infrared energy for the treatment of visible vessels, broken capillaries, spider veins, vascular lesions and discoloration of your skin. Unwanted vessels will be preferentially heated and become less noticeable. Popular areas are the face, neck, and legs.